Great to see in the Tuesday EDP that one of our number from Wayland & District Photographic Club, was a finalist in the EDP Pensthorpe NatureWatch Photographer of the Year competition, with his much admired and praised by all the judges entry, ‘Chaffinch’. 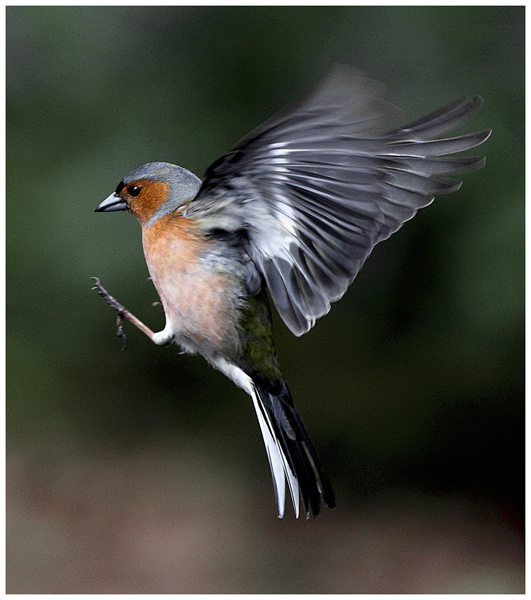 Member Bill Pound is to be congratulated on reaching the final 5 with the judges saying ‘To get the stunning colourful image of a Chaffinch in flight, Bill, from Dereham, spent over two hours waiting for his opportunity in the woodland hide at Pensthorpe’. Well done Bill, we are all proud of you. what a lovely picture!!! It's great to see Wayland & District Photographic Club member's images and what a pleasing website and blog really easy to navigate unlike some... It looks a great club and will try to come along one night. Thank you for your kind comments, you are most welcome to attend any of our club meetings. We are a friendly bunch with a variety of skills and slowly developing the Wayland & District Photographic Club (WDPC Norfolk) in the Breckland villages of Norfolk. We look forward to meeting you at future meetings and if you would like any futher information please do not hesitate to contact us. Nice one Bill - another great shot. Well done! Well done Bill, that image would de well in just about any competition you care to name. Superbly captured.